Joy Filters carries the most comprehensive lineup of exhaust filters, from the Aerospace NESHAP 2 or NESHAP 3 stage filters, Powder Coating Booths filters, standard high capacity 22 Gram Fiberglass Rolls or Cut Pads and Paint Pockets. *Shipping costs are only for the continental U.S., not Hawaii or Alaska. 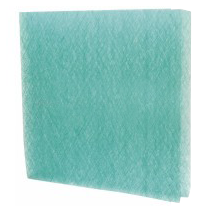 22 Gram Fiberglass Paint Arrestor Cut Pad 20 in.X20 in. 22 Gram Fiberglass Paint Arrestor Cut Pad 20 in.X25 in.